Improper disposal of patient information and sensitive records could put your patient information in the hands of the wrong person, which would be a HIPAA violation. In the United States, the healthcare industry has the highest cost per data breach at $380 per compromised record. Just imagine, if only a hundred records were compromised, that would be a cost of $38,000! A medical records shredding service can help ensure that your patient’s PHI is securely destroyed. Hiring a qualified service to destroy discarded PHI can lower costs and eliminate risks for your practice. Here’s what to look for when selecting a shredding service. Choose a provider with a track record of success and ask for customer references and case studies. Talk to your peers at other medical practices and ask for referrals. 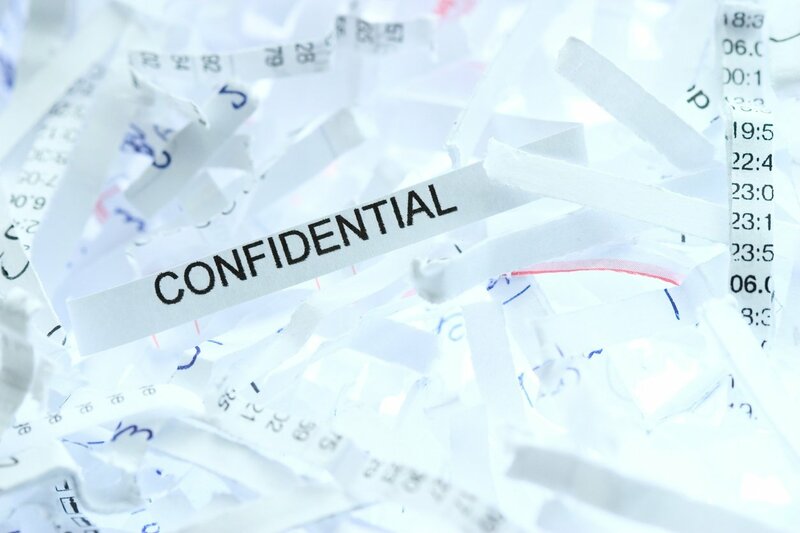 Make sure your provider is not only experienced, but also compliant with best practices for secure document shredding. The National Association for Information Destruction (NAID) is the industry’s only quality assurance program. If your shredding service follows NAID best practices, you can have confidence that they operate with high standards for security and professionalism, including equipment capabilities and employee background checks. Your destruction company should be able to detail their procedures, including security measures, and document their insurance coverage. Once shredding is complete, they will provide a certificate of destruction, which adds another layer of security to the process. Your shredding service should be able to provide you with locking shredding bins for securely storing your documents prior to shredding. Ask about the type of containers that will be provided and make sure that industry-best document collection containers are used. Containers should be able to support the weight of documents and designed for security, ease of use, and durability. What type of equipment does the shredding service use? For example, cross-cut shredders are more secure than strip shredders. The ribbon-like strips that a strip shredder produces can be pieced back together, or the information on the strips can be easily read—which is what happened when shredded confidential documents were thrown at a Macy’s Thanksgiving Day Parade. A cross-cut shredder turns paper into true confetti that is impossible to reconstruct. Your shredding provider should use an industrial paper shredder designed for high-volume shredding. Every office has unique shredding requirements and easy, convenient scheduling is a factor for consideration when choosing a shredding service. Will your service provider show up as scheduled or will you have to wait for days or even weeks? Will the same person regularly service your account or will your office’s workflow be interrupted to train a new person with each pickup? Finally, if your medical waste services provider can also offer secure document shredding services, having a one-stop solution can save money and increase efficiency for your medical practice. There should also be a single, local point of contact for the company and you should have confidence that you can get in touch with your account manager when necessary. Choosing the right shredding service for your medical practice will give you confidence that your sensitive practice information and patient information is completely and securely destroyed. Partner with a shredding company you can trust throughout the entire destruction process.